On the north side, the Spaniard Kilian Jornet climbed up to the summit on Saturday for the second time in a week without the use of bottled oxygen: in a single push from the Advanced Base Camp at 6,400 meters. 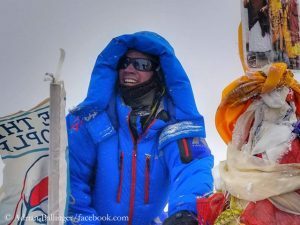 After 17 hours he reached the summit. 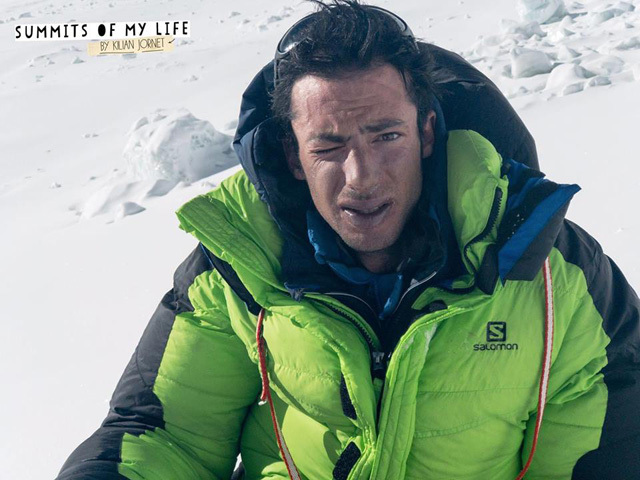 It had been hard to move fast, the 29-year-old said: “I think summiting Everest twice in one week without oxygen opens up a new realm of possibilities in alpinism and I’m really happy to have done it.” Without diminishing Kilian’s really great performance in any way – Pemba Dorje Sherpa succeeded a double ascent of Everest within a week already in 2007, at the time also ascending from the north. 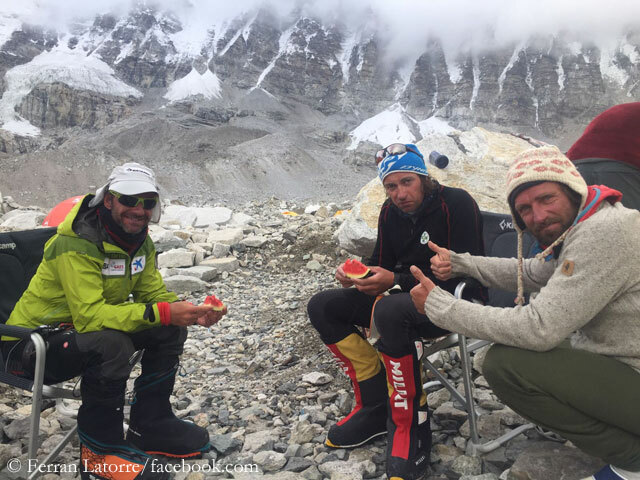 The American Adrian Ballinger, who reached the roof of the world for the seventh time, but for the first time without supplemental oxygen, was happy too. “So much more to say, but my brain isn’t ready to process anything more than pain and gratitude right now,” wrote the 41-year-old on Instagram. His companion Cory Richards, who did not feel good during the ascent, used bottled oxygen to support Ballinger on the way up to the summit. 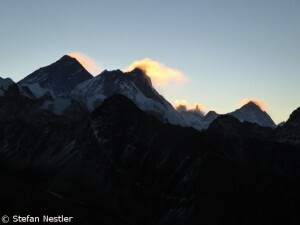 The German Ralf Dujmovits, according to his own words, reached an altitude of 8,580 meters, just ahead of the Second Step, the most striking rock step on the Northeast Ridge. 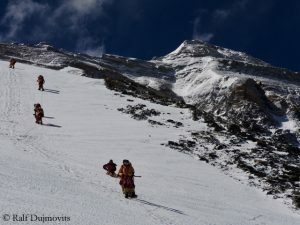 The 55-year-old decided to abandon his summit attempt when he began to lose feeling in his hands and feet due to the wind and snowfall – a careful decision. For the eighth time, Ralf had tried to reach the summit without supplemental oxygen. 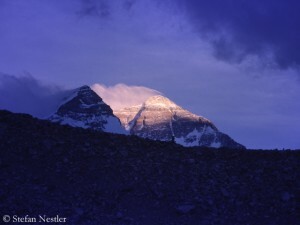 On his successful climb in fall 1992, the only German so far who has summited all 14 eight-thousanders, had used bottled oxygen in bad weather above the South Col. Dujmovits had climbed the other eight-thousanders without breathing mask. Does Kuriki try it again? On Sunday, the Japanese Nobukazu Kuriki ascended to Camp 2 at 6,400 meters on the south side of Everest. 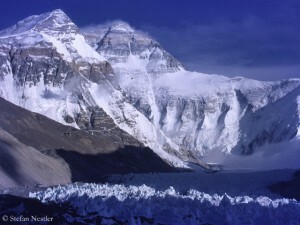 After his failed attempt on the West-Ridge last week, the 34-year-old had announced that he wanted to climb up again. The weather forecast predicts for the next days light snowfall and wind with speeds between 20 and 30 km/h.